What exactly does a 21st Century Classroom look like? 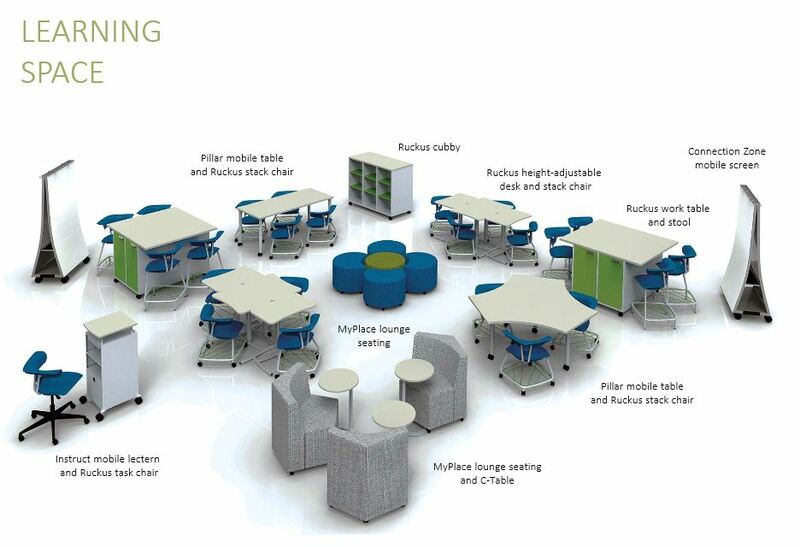 As mentioned in Visualizing 21st Century Classroom Design, “Problem-based learning, makerspaces, flipped learning, student blogging — these are becoming perceived staples of 21st-century learning.” Below we have applied 4 of these elements with KI Furniture’s Ruckus Collection. Adapt to teaching and learning styles. KI Furniture’s Ruckus Collection includes everything from seating, to desks, to lockers, and more, and are available on casters for easy mobility. Change your classroom at a moment’s notice depending on the lesson objectives for the day. Are your students working on a team project? Quickly arrange the desks and chairs for collaboration. State testing taking place? Place in more traditional rows. Each day can be different, and each student’s learning style can be addressed with ease. Sway Lounge Seating also provides a cozy spot for students. Focus areas as well as lounge areas. Want to apply a tiered classroom concept? 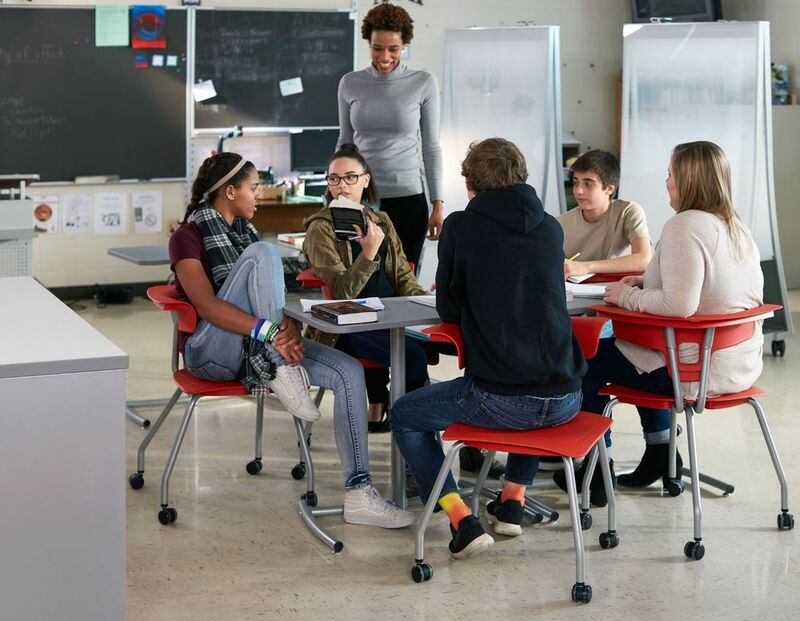 The Ruckus Collection offers seating and desking in a variety of heights, ensuring all of your students can view and participate in the lesson for the day. Tiered seating as an option. Flexible and mobile desk and chairs. No more rows. Get creative and inspire your students and teachers. 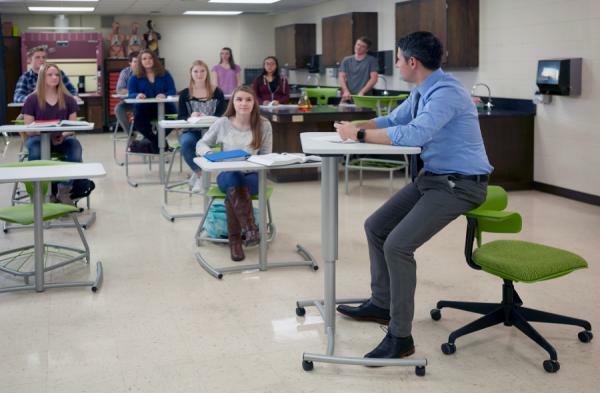 With maker-centered learning a hot new trend in education, KI Furniture’s Ruckus Collection can easily encourage students to explore ideas with Ruckus Work Tables. Connection Zones Screens also give students the perfect mobile surface for brainstorming. There is a roadmap available, we can help.